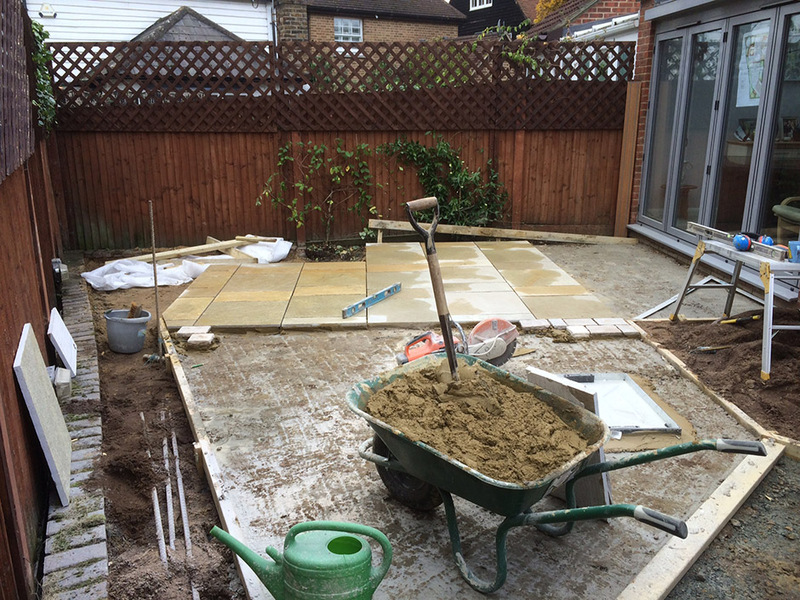 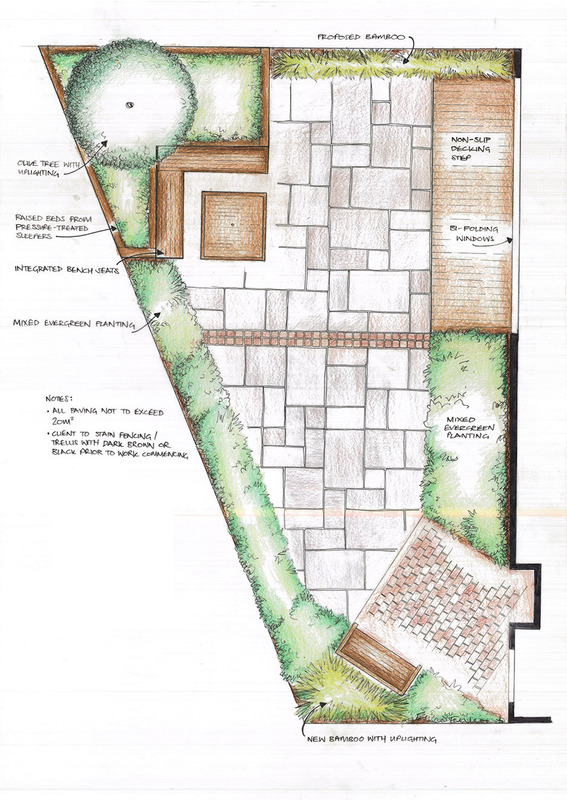 Our client’s based in Bexley, Kent, requested a low maintenance garden design, mainly hard landscaped garden that they could use for Summer entertaining. 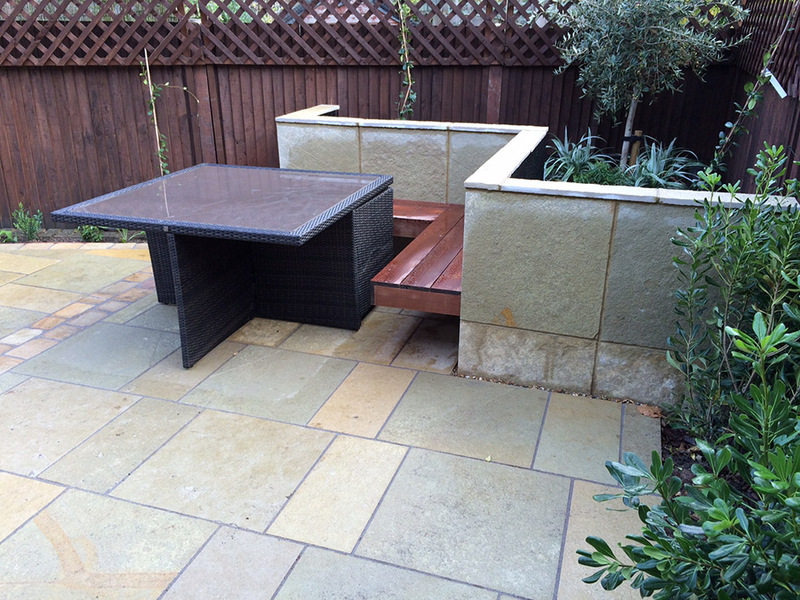 This needed to be softened with evergreen and aromatic planting and soft lighting and to be centred around a sitting area/table. 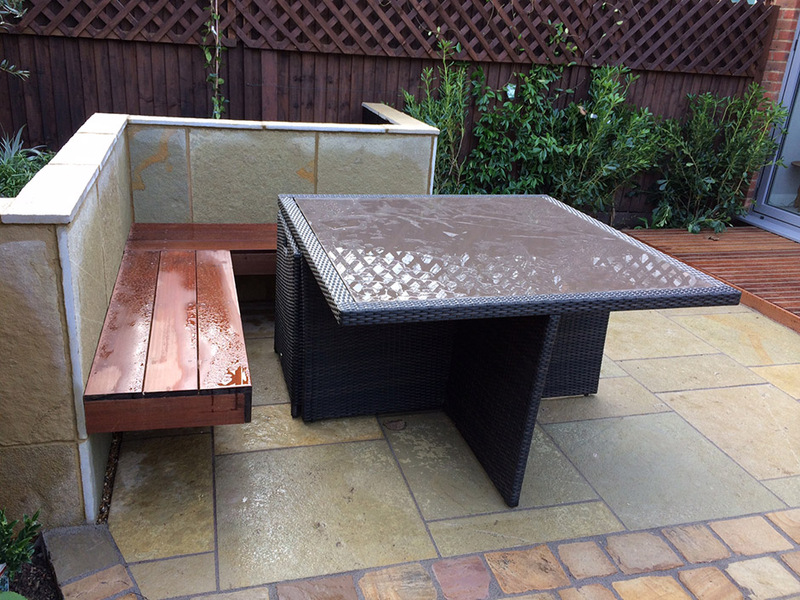 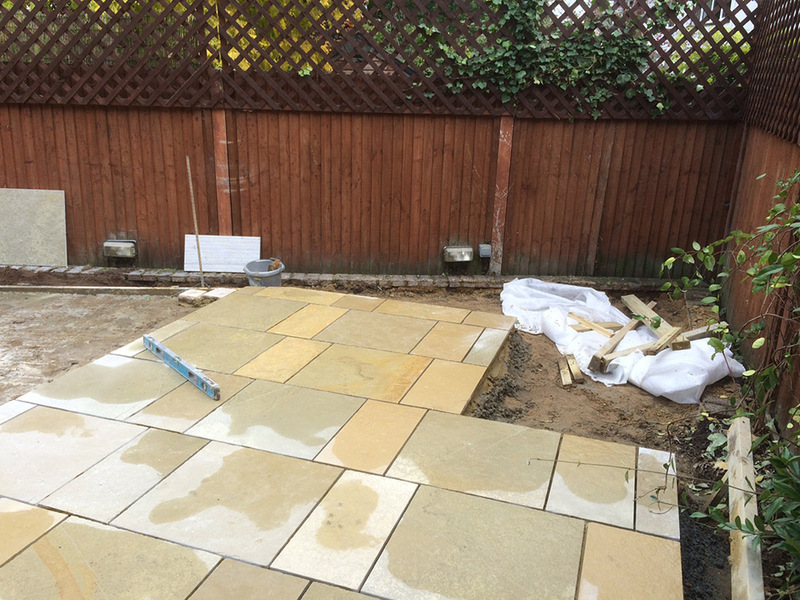 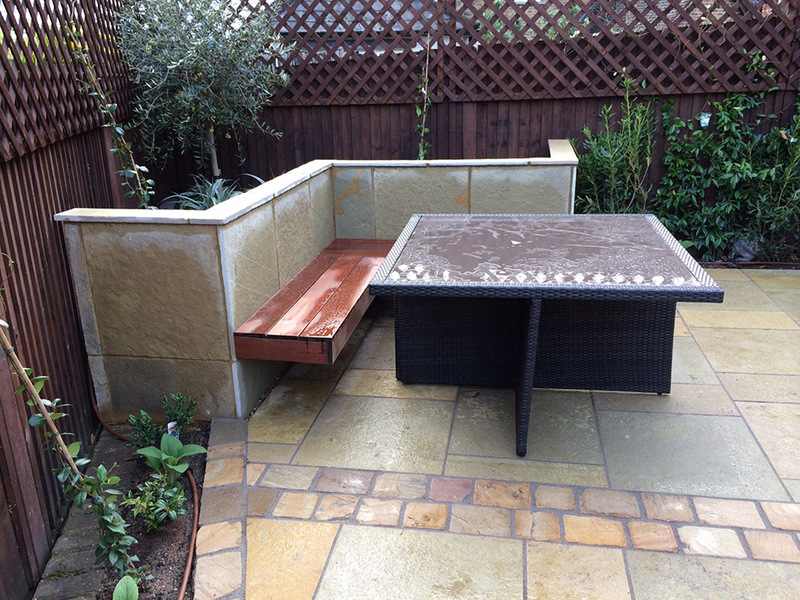 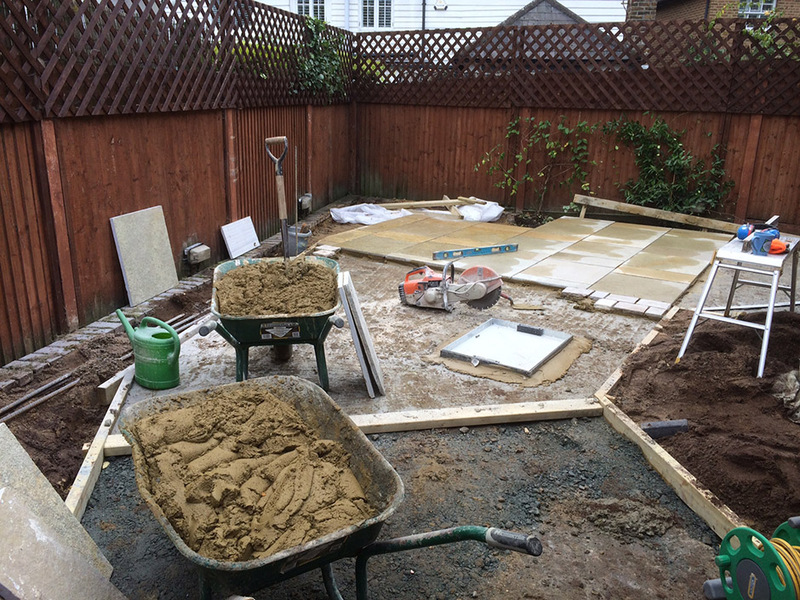 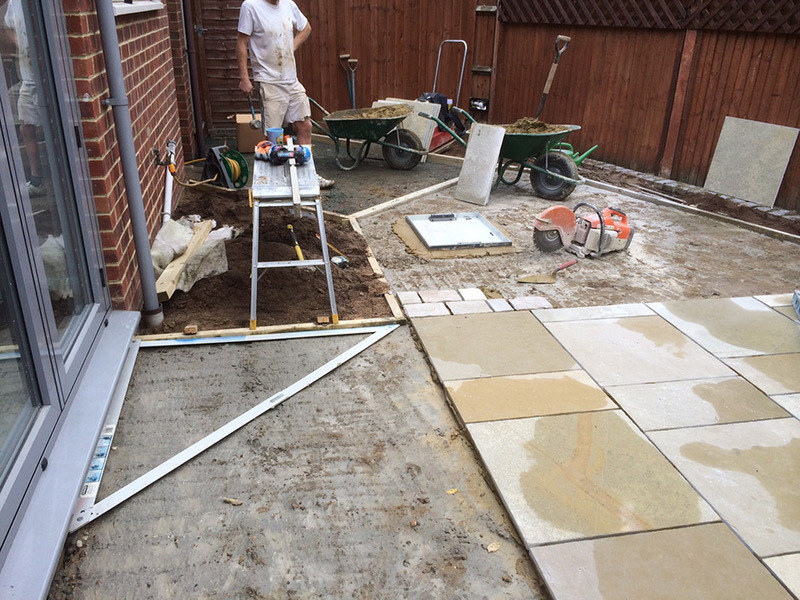 We subsequently stained down existing fencing and trellis, ‘Sealed’ limestone was used for paving and cladding of walls together with Hardwood ‘Floating Seat’ and non-slip hardwood decking. 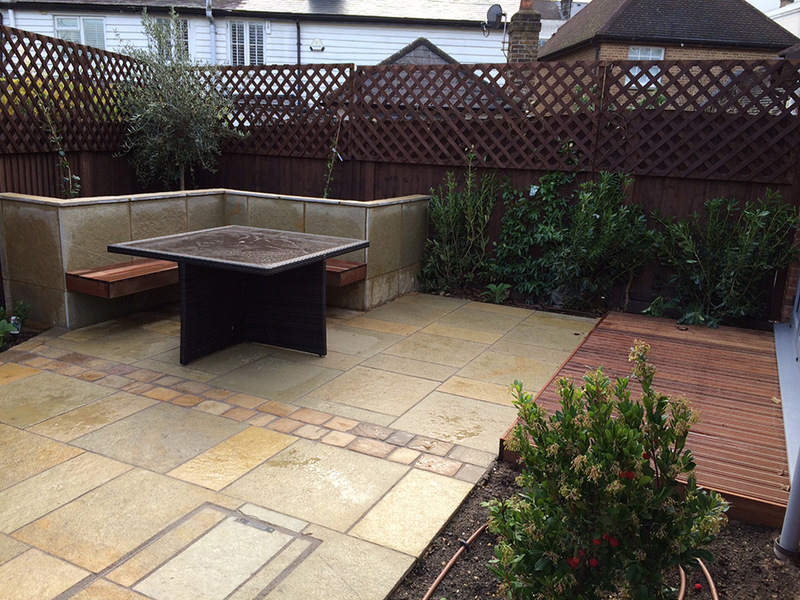 Planting included scented evergreen Jasmine over fence/trellis, Choisya Ternata, Pittosporum Tobira, Magnolia Grandiflora, Daphne Odora, Sarcococca Humilis and Astelia plus Arbutus.